MarketInvoice, the peer-to-peer finance platform has launched another development to its growing portfolio of invoice discounting products. MarketInvoice SELECT offers customers the ability to pick and choose invoices to receive funding against, but there is a new fixed term deal, whereby customers have the option to have a fixed monthly fee, rather than a percentage charge of the invoices funded. 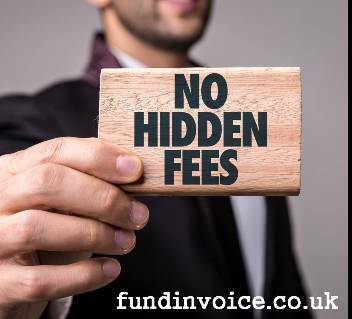 With the fixed monthly fee comes the option to receive funding against as many, or as few invoices as you wish. With the normal SELECT product offering, there is a percentage charge against each invoice that is funded. Typically this will be between 1% and 3%. However, the fixed contract option replaces that fee with a single monthly fixed fee, giving you complete predicatablity of the cost of your invoice financing. You can use this service for single or multiple debtors, with funding of up to £3 million against any one invoice. Any changes to the facility e.g. a change in the advance rate, are free of charge. The facility can be set up within 24 hours. Application - you can apply in about 15 minutes, less if you have Xero or Sage accounting systems. You will need your financial details, you latest statutory accounts and 3 months bank statements. Customers - you add customer(s) details for each of your debtors that are to be funded. Upload - you upload the invoice(s) to be funded. You can upload your invoices in for form of an electronic file, such as a CSV, or you can enter the invoice details manually into their system. Verification - a system called "Verification Cloud" is used to verify the validity of the invoices that are to be funded. It works by contacting your customers, by email, allowing them to confirm the validity of your invoices with a simple confirmation. Funding - your invoices are funded, at a rate of up to 90%, by investors on the MarketInvoice platform. The investors make two rounds of funding each day, at 12pm and 5pm. They do not take any stake or shares in your company - they are only providing the funding against the security of the invoices that you are discounting.